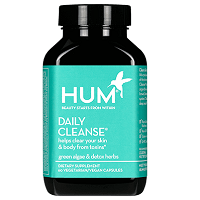 HUM Daily Cleanse Review: What Difference Will This Make to Your Diet? HUM Daily Cleanse is a diet pill that was developed to focus on not only weight loss benefits but also other areas of wellness. According to the official HUM Nutrition website, using this product will help to clear toxins from the body and skin, and it will cleanse the liver, bowel, kidneys, skin and lungs. Every bottle of HUM Daily Cleanse contains 60 vegan capsules. Since the product’s directions recommends taking two per day, that means that each bottle contains 30 days’ worth of product. At the time this review is written, the HUM Daily Cleanse formula contains the following ingredients: Zinc, Selenium, Copper, Manganese and the Skin Cleanse and Detox Blend, which is made of: organic chlorella algae, spirulina algae, MSM, dandelion leaf extract, beet root, Oregon grape root, milk thistle extract, matcha green tea, red clover extract and alpha lipoic acid. The non-active ingredients that make up the capsule itself are cellulose, rice flour and silica. On the other hand HUM Daily Cleanse does not contain any chemical preservatives, egg, milk, soy, corn, gluten, wheat, yeast, starch, salt or sugar. It is a vegetarian- and vegan-friendly product. The HUM Nutrition website shows a list of research to help to support its claims about HUM Daily Cleanse. Some of the research is helpful, but much of it is either very preliminary or it used the ingredients in different quantities than were used in the product. Therefore, it doesn’t necessarily mean that using these capsules will produce the same types of benefits seen in the research. It is important to speak with a doctor before using this product. The reason is that it contains both diuretics and mild laxatives. This type of ingredient can be harmful to some people with certain common medical conditions. 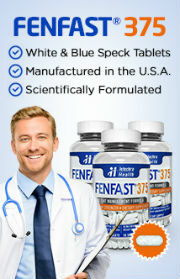 To be sure this product will be safe for you, speaking to a licensed medical professional is highly recommended. Many medical professionals do not recommend using detoxing products of this nature. They say that drinking water and a balanced diet is all that is required to keep a healthy body. Moreover, they state that toxins do not build up in the liver or kidneys. When surgeons examine these organs, there isn’t a buildup of toxins inside as that is not how they function. As long as you are hydrated and having regular bowel movements, the body naturally cleanses itself. 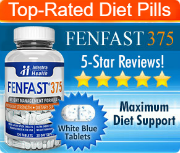 To use this product, the package directions recommend taking two capsules per day at any time without food.